Labor cost amounts to 50 -60 percent of hospitals yearly operational budget. To decrease expenses without affecting the quality of patient care, hospitals must have an organized, aggregated, and user-friendly scheduling software dashboard for labor monitoring. Choosing the right software to seamlessly integrate real-time data, boosting productivity can be daunting. To help hospitals overcome this business challenge Chetu healthcare developers can build customized dashboards using SAP Business Objects that will identify leakage by compiling, analyzing and discovering data that hospitals need to address in order to increase revenue and decrease loss. SAP Business Objects is a business intelligence platform designed for discovery, strategic insight and easy sharing to support growth. Data is received in real-time and hospitals can leverage useful information in a simple, dynamic and personalized dashboard. Chetu can implement SAP Business Objects with SAP Lumira, an impactful analytics and data visualization software. Lumira visualization capabilities will allow hospitals to improve efficiency, assess risks, and identify opportunities. With critical information being displayed in a user-friendly dashboard it is easier to identify which medical practitioners are not being scheduled for their required hours. Management can sort through part-time and full time employees, to ensure that they are being used to their full potential. SAP Business Objects dashboard can reduce last minute outsourcing by showing vacant shifts ahead of time, allowing for hospitals to quickly address labor shortages. Conversely, the tool can identify scheduling conflicts and inefficiencies in overstaffing. Financial performance will increase in each department because data is now accessible in a holistic hospital scheduling dashboard. 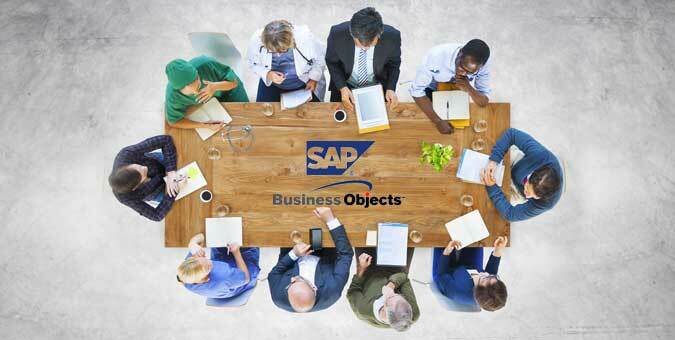 With SAP Business Objects, hospitals can sort through the different units and assign responsibilities accordingly. Management has many responsibilities when it comes to the care of their patients. They must make sure that the staff has all the resources they need, while still managing staffing schedule, call-outs, injuries and much more. With the customized dashboard they now have a clear view of each responsibility that must be assigned per shift to assure patients are being treated as needed. They will be able to see if there are any gaps within a shift due to incidents, and address them by filtering though employees that are on-call rather than paying extra to outsource. Utilizing a customized hospital dashboard, distinguishing true leakage can be done efficiently. Management can sort through the employees and see who is utilizing their benefits such as family leave, paid vacation and sick leave to distinguish true leakage in the schedule. The dashboard is designed so unit leaders can see data and take the appropriate action ahead of time. As SAP Partners, Chetu makes sure software is being implemented, integrated and supported to best meet individual business goals. We want hospitals to address any operational issues they are facing to improve efficiencies and increase positive patient outcomes. FTE Leakage is a concern for all hospitals, which is why we work together to build a customized dashboard to help management address this problem. With all data integrated to one centralized platform it is much easier to prioritize leakage and stay on top of it. Our developers can integrate all current data into an enterprise analytic software such as SAP Business Objects. Chetu customizes this software by implementing SAP Lumira for better data visualization. Our developers also implement SAP HANA, an in-memory data platform that delivers more business intelligence by accelerating business processing. This will help the data behind the dashboard display and process more efficiently.